Genealogy's Star: Why is Genealogical Accuracy Such a Problem? Why is Genealogical Accuracy Such a Problem? Of course, there are no sources supporting (or correcting) any of this information. I referred to this particular person in another post where I pointed out that the dates and places also don't match. I continued to investigate the Jacob Morgan and find that there are, at least, 11 Ancestry.com Member Trees with similar information and some or all of the children. You might note that the first child is supposedly born when his father was three years old. 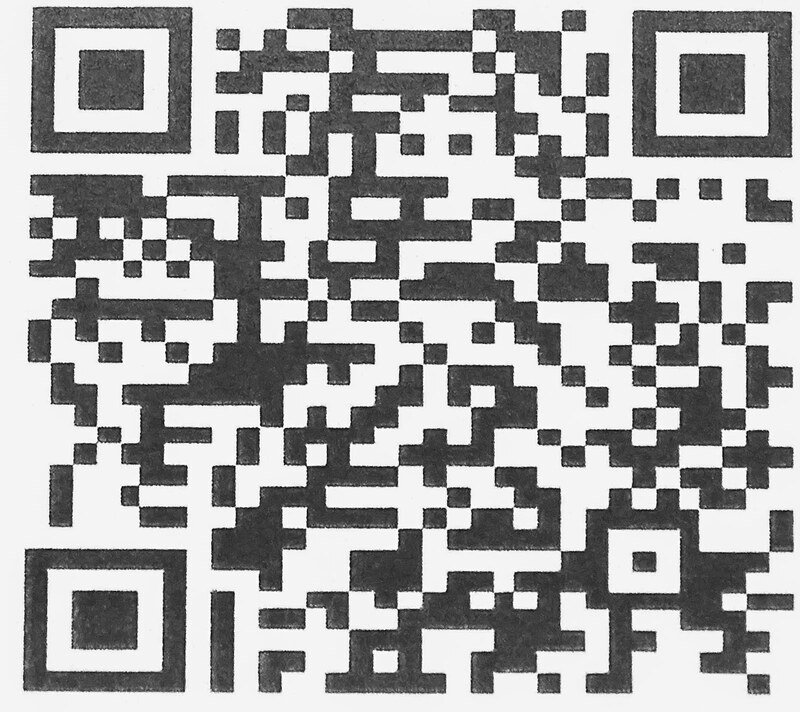 The latest addition to the FamilySearch.org Family Tree was within the last few months and added a child who was born when the father was only 11 years old. 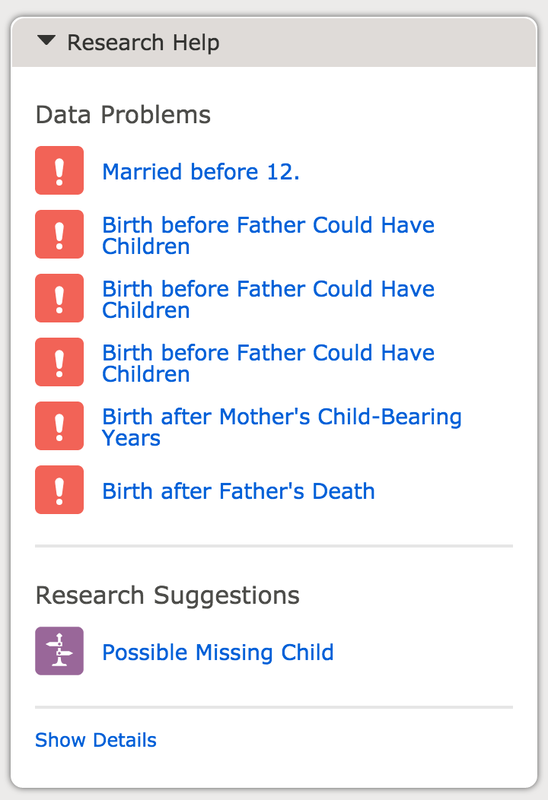 Apparently, adding another child with the same inaccurate information as reflected by the two older children does not raise any concerns on the part of the contributors, including the red exclamation point warnings from FamilySearch. How does this happen? The person added, John Morgan (Doctor), also has no supporting sources and is also reported as being born in "Shepardstown, Berkley, Virginia" in 1734. As I have previously pointed out, Shepherdstown, now in West Virginia, was founded 1762 and Berkeley County, wasn't organized until 1772. So not only is there a total disconnect here chronologically, but geographically as well. All except two of the children listed are said to be born in Shepherdstown, Berkeley, Virginia or to be "of Shepherdstown, Berkeley, Virginia." The two children who are the exception are Rachel Morgan, born about 1730 (when her father was seven years old) in "of Virginia, USA" and Mary Augusta Morgan born in Fairfax, Virginia in 1825 when her father was a hundred and two years old. To clean up these entries, we have to start with approximately five generations earlier where we have descendant Garrard Morgan II, who is supposedly married in Carlisle, Nicholas, Kentucky in 1794 and born in Goochland, Colony of Virginia, British Colonial America in 1772. Nicholas County, Kentucky was not established until 1794 and Carlisle was founded in 1816. So we have a few generations to clean up before we can even begin to unravel the issues with Jacob Morgan. This cleanup work is taking a considerable amount of time because the research is not easy. So how do these tangled messes come about? Why is there a consistent lack of awareness of the dates and places involved in this particular family. Oh, I might point out that the information on Garrard Morgan is in 17 Ancestry.com Public Member Family Trees. Besides the apparent inability to do simple addition, the real problems here are with locations. None of those incorporating this information in their family records has bothered to verify that information either by checking original record sources or by checking the dates associated with the geographic locations. This is widespread and very persistent problem with family compiled genealogical records. Someone makes the initial assumptions based on tradition or speculation and no one bothers to check the original family records passed down for generations. My own records reflect the family tradition records that were originally obtained from family group records submitted to the Genealogical Society of Utah. Age adds credence. It is not at all unusual for me to find that the traditional records I inherited, in a sense, from my ancestors are proving to be inaccurate and incomplete. As I grow older and acquire more resources and knowledge, I am getting less and less tolerant of inexcusable errors. It is only today, when the errors are so much "in your face" and when we have the tools to do something about the problems that we have begun to make some headway. This is why I won't use Family Search trees although I do search for records there. This is a very common problem on Ancestrydotcom also. People just follow what someone else has done without even thinking about it. I've never understood that thinking. Record Hints vs. Manual Searching: Which wins? Who will be the genealogy teachers?